What I am Thankful off? 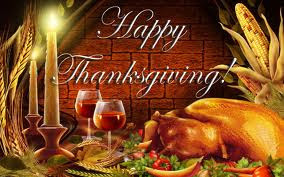 I am Thankful for all the things that I have received, an awesome husband who love me, a great obedient and amazing son, my family back home who tried to stay connected with me even though internet were not their type, my second family here and friends who are supportive and lastly be thankful for all the BLESSINGS, I received. Good health, happiness and contentment in my life. I could not ask for more, however expecting the unexpected things would be delightful to happen. May we always be thankful not just for today, but for everyday of the things we had, of the life we still have to enjoy the world. What about you? What are you thankful of?